The Mystery Mens Cycling Jersey! Here's the deal. We have a sample room filled with mens cycling jerseys bigger than most bedrooms. To get rid of some of these we are selling them at a huge discount over retail. The catch is you don't get to choose the design. We do! Here is what You'll get: Brand New High Quality Mens Cycling Jersey Jerseys have a 3/4 zipper and three rear pockets Some are samples, production overruns, wrong colors, one offs, etc. But all are first quality. The are fully sublimated items (Printed graphic jerseys). The graphics range anywhere from a beer cycling jersey to a team cycling jersey to a college cycling jersey and anything in between. 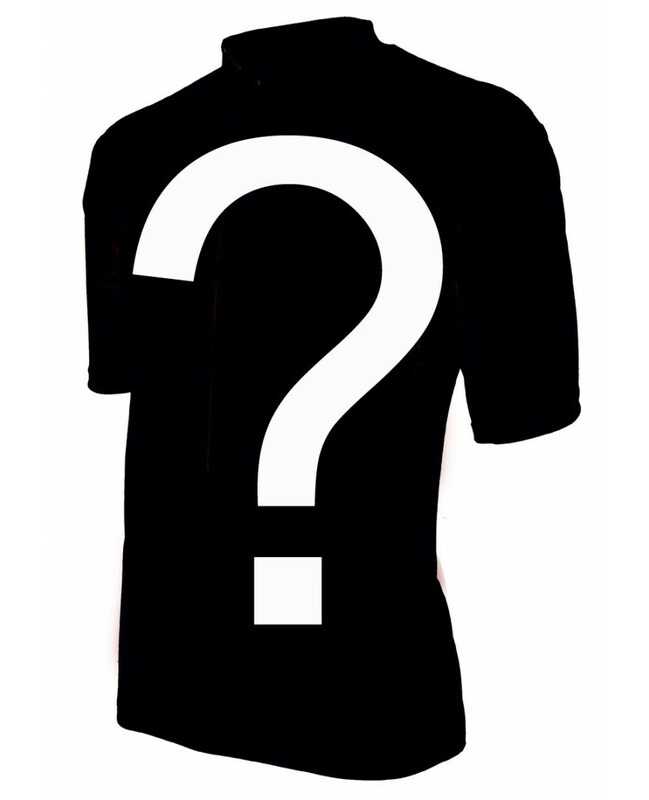 Unfortunately due to the price we are selling these at we can not accept returns or exchanges on the Mystery mens cycling jerseys.